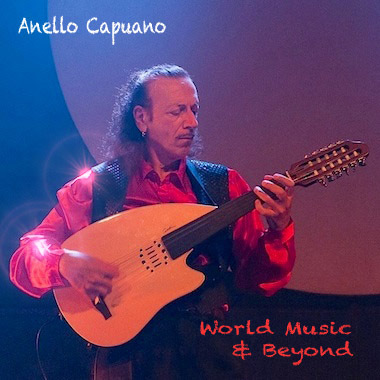 Currently based in Indonesia, Anello Capuano is a multi-instrumentalist, ethno-musicologist, composer, arranger, and producer who hails from Italy. His work spans an impressive multitude of musical styles and genres, including Medieval, Mediterranean, World, Asian, Indian, and Ethno-Electro. Anello studied extra-European traditional music at the Conservatory of Music in Marrakech (Morocco) and at the Benares Hindu University in Varanasi (India), and he has performed extensively in Europe, Africa, Asia, Canada, the Middle East, and the USA.